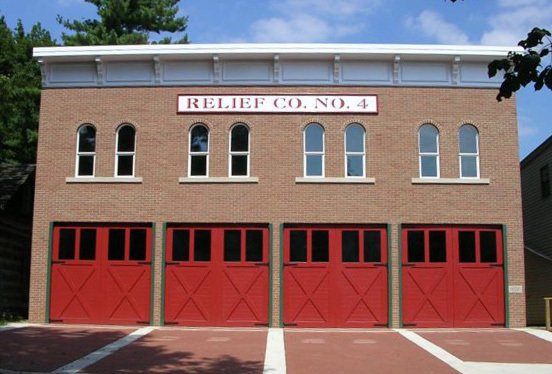 Designed from an original 1888 Wayne County firehouse, construction of Relief Company No. 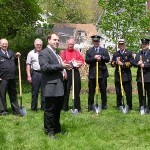 4 firehouse began in 2004 and was completed on July 1, 2005. 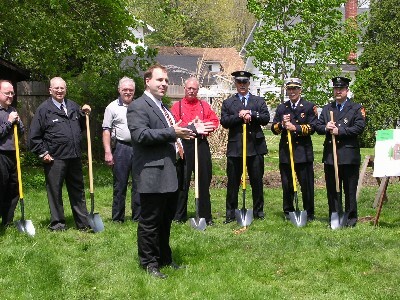 During the formal dedication ceremony, Wayne County area firefighters participated in a parade from the Wayne County Fairgrounds to the new firehouse on the grounds of the Wayne County Historical Society. The interior of the lower level was completed by Wayne County volunteer firefighters to reflect a 1900s firehouse. The building houses the Society’s extensive fire equipment collection. Equipment on display includes an 1830 Wooster handpumper, 1869 Allerton steam pumper, 1890 hand drawn ladder wagon and 1934 Fox pumper (on loan from the City of Orrville), and 1937 Seagrave pumper. The upper level houses additional pieces of firefighting equipment.